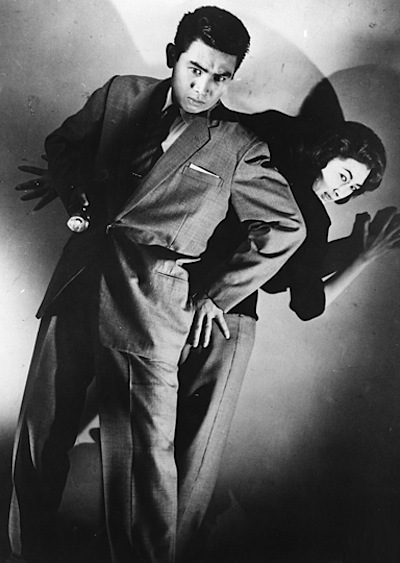 Kenji Sahara & Yumi Shirakawa in Ishiro Honda's THE H-MAN (1958). THE RETURN OF "KAMEN RIDER V3"! 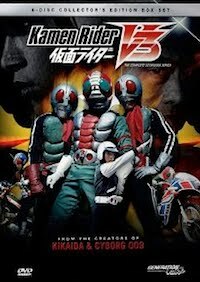 Honolulu-based JN Productions/Generation Kikaida is re-releasing their KAMEN RIDER V3 DVD Box Set on May 18! 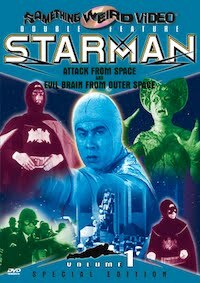 This is one of the DVD projects I had the pleasure of doing for JNP/Generation Kikaida over the last decade (including KIKAIDA and INAZUMAN) released in 2005, and it's my all-time favorite superhero series from 1970s. 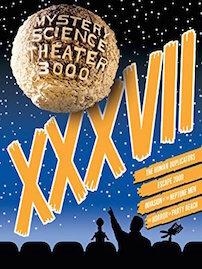 We really went overboard with the extras on this set: I wrote detailed behind-the-scenes factoids (including biographies on all of the Guest Stars and Production Staff), two essays on the series, two complete sets of English Subtitles (one for children and the other for adults), and 71 Character Profiles (with sound bytes)! 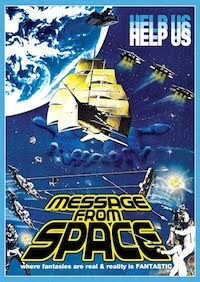 The set also boasts an exclusive interview with star Hiroshi Miyauchi, six Karaoke Music Videos, and much, much more! 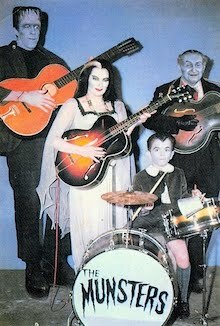 According to the press release: We have answered your call. Due to numerous requests for KAMEN RIDER V3, JN Productions is proud to release a newly issued, fully-loaded “Special Edition” six-disc set which contains all 52 exciting episodes—digitally remastered, complete and uncut—and bonus features found on the “Collector’s Edition” box set. This new "Special Edition" set will be priced at $149.50—if you didn't catch the first release of this action packed series, be sure you don’t miss it this time around! 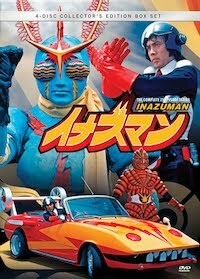 The KAMEN RIDER V3 Special Edition DVD Box Set will be available exclusively in Honolulu at Shirokiya, Ala Moana Center or through the Generation Kikaida website for shoppers outside of Hawaii. Online shoppers will receive a free gift for a limited time only! 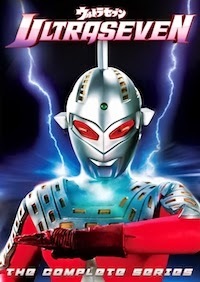 Produced by action film purveyors, Toei Studios (THE KILLING MACHINE), and the hit-making team of creative producer Tohru Hirayama Tohru (JOHNNY SOKKO) and manga author Shotaro Ishimori (CYBORG 009), KAMEN RIDER V3 is not just a superhero saga, it's a superhero opera! After witnessing the brutal murder of his family at the hands of the demonic, secret society known only as "Destron", motorcross phenom Shiro Kazami is reborn as a cyborg warrior! 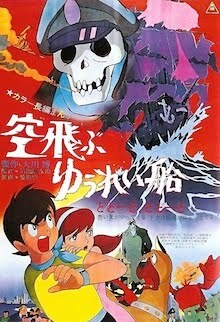 Exploding with breakneck action by the Ono Ken-Yukai (YOU ONLY LIVE TWICE), an exciting score by Shunsuke Kikuchi (DRAGONBALL Z), and the electrifying presence of action star Hiroshi Miyauchi (SISTER STREETFIGHTER), KAMEN RIDER V3 defined the superhero genre for a generation of Japanese television viewers. 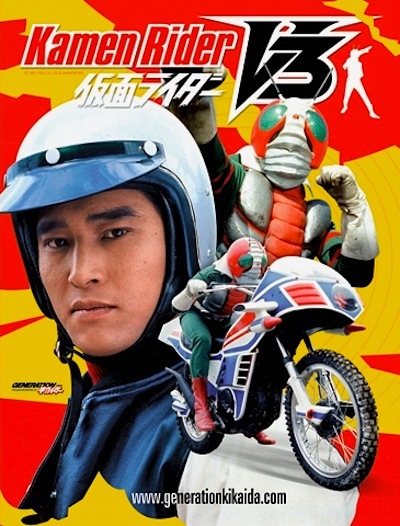 The coolest Japanese superhero series of the 1970s, KAMEN RIDER V3 rocks! 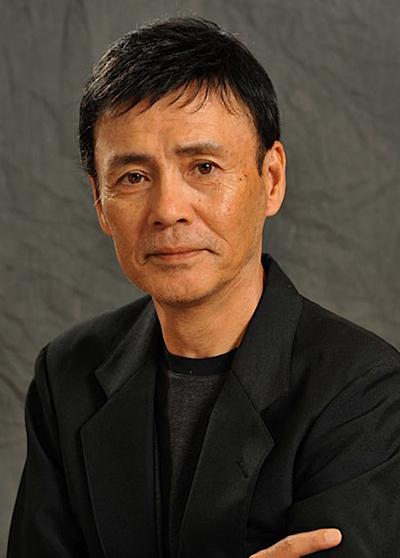 Born on May 5, 1947 as Kiyonori Saito Kiyonari in Kawaguchi City, Saitama Prefecture, Ban became interested in acting while attending Meiji University and working a low-paying job in a local teahouse, Saito joined the NLT Acting Troupe, which cast him in stage plays based on the works of French playwrights. 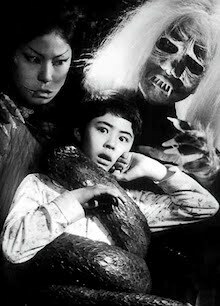 When casting KIKAIDA (1972-73), Toei producer Susumu Yoshikawa and his wife came across the headshot for the young actor, with Mrs. Yoshikawa proclaiming, “He’s the one!” After being christened “Daisuke Ban” by series architect, mangaka Shotaro Ishimori, his screen career was launched. 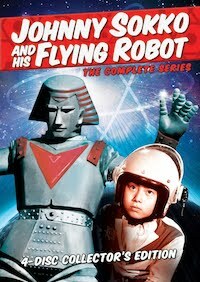 But, after forty years in acting, he is best remembered as Jiro, the incomplete android in KIKAIDA—a role that he will be forever beloved for—not only in Japan, but also in the US (where the series was aired during the mid-1970s on Japanese-language stations). 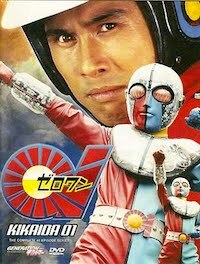 When the production of INAZUMAN (1973-74) was delayed, the producers had Bad join Shunsuke Ikeda in the early episodes (and the series finale) of KIKAIDA 01. 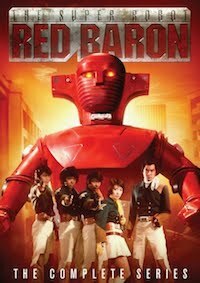 One of the few actors to play three lead roles in a tokusatsu series, Ban also starred as Daisuke Izumo/Ka’nin Captor 7 in NINJA CAPTOR (1976-77), before becoming Makoto Jin/Battle Cossack, one of the main characters in BATTLE FEVER J (1979-80). 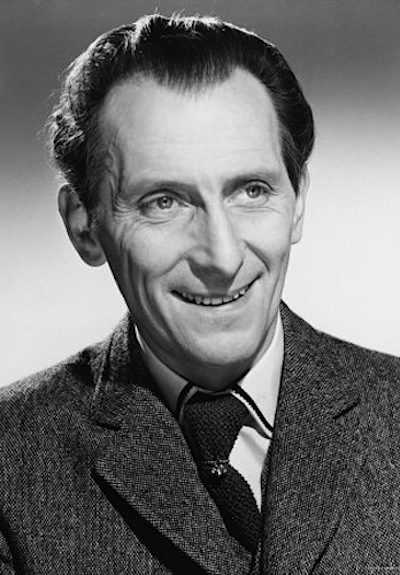 But, not being typecast, Ban soon was appearing in a number of other television series, including ZENIGATA HEIJI (1966-84), EDO DRAGNET (1970-92), THE YOUNG DETECTIVES (1971-76), HOWL AT THE SUN! 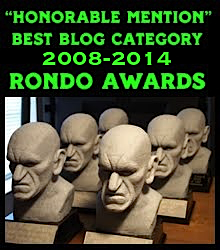 (1972-86), THE BODYGUARDS (1974), THE GORILLA 7 (1975), SPECIAL INVESTIGATION: FRONTLINE (1977-87), HELLO! GOODBYE (1989), TRUE SCARY STORIES (1990-92), SUZURAN (1999), and SUPER QUEEN (2007). 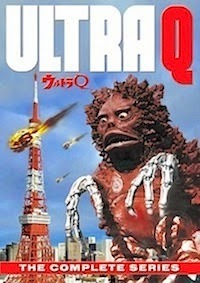 Ban also guest starred in several tokusatsu series, as Lt. 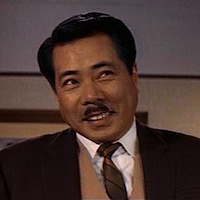 Colonel Tetsuya Yokota in Episode 81 of SECRET TASK FORCE: GORANGER (1975-77), Professor Kazuhiko Kawamei in Episode 28 of VIGILANTE ZUBAT (1977), Interpol Agent Kuroki in Episode 12 of SPIDER-MAN (1978-79), Tashiro in Episode 16 of SUKEBAN DEKA (1985), Professor Katayama in Episode 34 of MONSTER INVESTIGATOR: JUSPION (1985-86), Professor Hoshi in Episode 1 of SUPER BEAST TASK FORCE: LIVEMAN (1987-88), Ijin in Episode 11 of PSI TASK FORCE: MASKMAN (1988-89), Takayama in Episode 9 of MOBILE COP: JIBAN (1989-90), Detective Koyama in Episode 9 of SPECIAL POLICE: WINSPECTOR (1990-91), Dr. Aizawa in Episode 22 of ICARUS TASK FORCE: JETMAN (1991-92), Dr. Hideyo Inoue in ELECTRONIC SUPERHUMAN: GRIDMAN (1993-94), and Episode 34 of ULTRAMAN DYNA (1997-98). 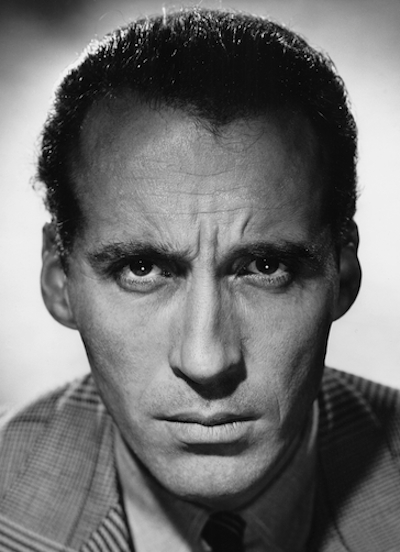 The prolific actor’s film roles include Shintaro Katsu’s ZATOICHI (1989), Shuei Matsubayashi’s THE VICTORS (1992), Macoto Tezuka’s THE INNOCENT (Hakuchi, 1999), and Tsuruta Norio’s PREMONITION (2004). 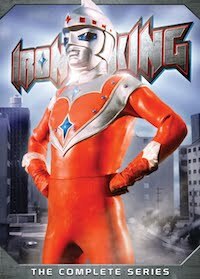 He is best known outside of Japan as Dr. Heihachiro Ikuma in Hideo Nakata’s RING (1998), Joji Iida’s SPIRAL (1998), Nakata’s RING 2 (1999), and Tsuruta’s RING 0: BIRTHDAY (2000). 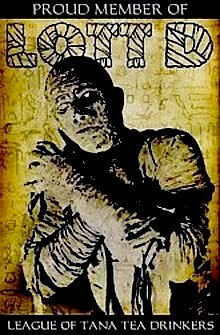 Ban has also appeared in several independent productions in including GRAVITY-SPEED PHANTOMS (2005) and Aaron Yamasato’s BLOOD OF THE SAMURAI (2001) and the spin-offs BLOOD OF THE SAMURAI: THE SERIES (2004) and NINJA EX (2004). 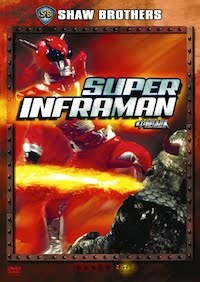 He recently co-starred with fellow tokusatsu star, Hiroshi Miyauchi (KAMEN RIDER V3), as Big John Jack in Kiyohide Matsumura's GAME ACTION (2009). In 2001, Kadokawa Publishing released Ban’s autobiography, Switch On! 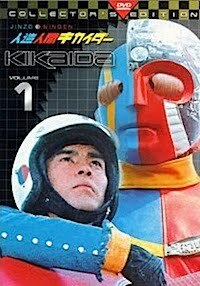 Android Kikaida: My Journey With Jiro. 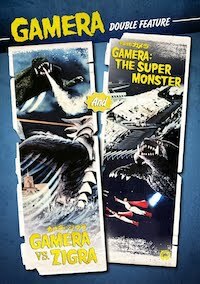 TOKYOSCOPE: "WAR OF THE GIANT MONSTERS!" 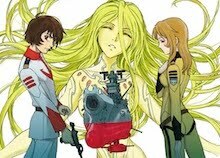 VIZ Cinema in San Francisco's Japantown is presenting the 3rd talk in the "TokyoScope" series. 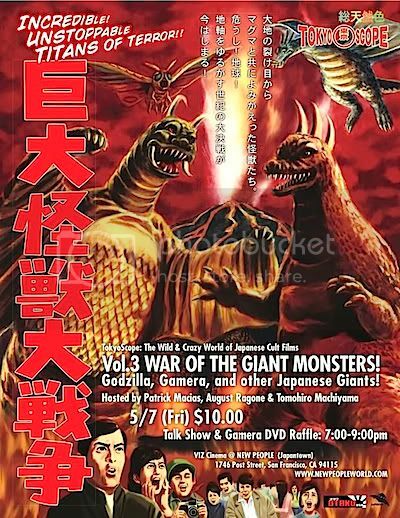 This time it’s "War of the Giant Monsters", all about Japan’s Giant Monster Cinema, on Friday, May 7th at 7:00pm. 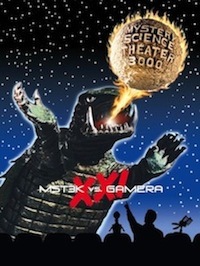 Join Otaku USA Editor-in-Chief Patrick Macias, Eiji Tsuburaya: Master of Monsters author August Ragone, and Japanese film critic Tomohiro Machiyama at the Bay Area’s hottest film venue for a fun and lively discussion on the “kaiju” (monster) movies featuring rare images and clips of Godzilla, Mothra, Gamera and other iconic creatures from classic Japanese sci-fi cinema. 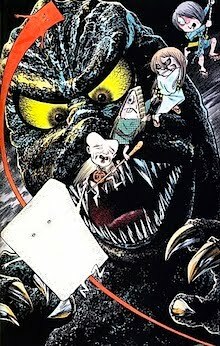 This "Kaiju Shakedown!" 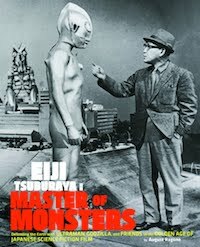 event will also feature a special raffle giveaway of premium monster collectables including the brand new DVD release from Shout! 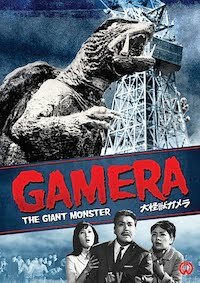 Factory of GAMERA: THE GIANT MONSTER (1965), which will be released on May 18th. The revered classic features the original Japanese version of the film presented with fresh English subtitles and anamorphic widescreen produced from an all-new HD master created from original vault elements. 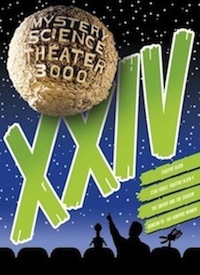 General admission tickets are Adults: $10.00/Senior & Child: $8.00. 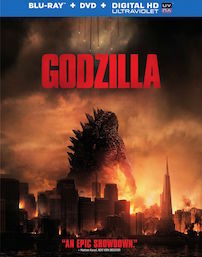 "GODZILLATHON" ROARS INTO SAN FRANCISCO! 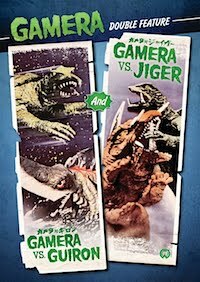 VIZ Cinema is unleashing the monsters for KAIJU SHAKEDOWN: GODZILLATHON! 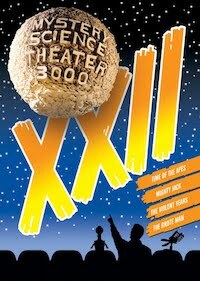 from Saturday, May 8th thru Thursday, May 13th. 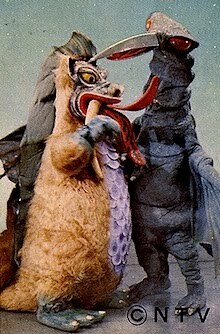 Featured are rare screenings of four Godzilla films from the 1970s' "Toho Champion Festival", which produced some of the most outre entries of the series, which were made exclusively for children. 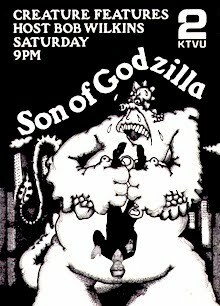 But, even so, these were some of the most violent of all the Godzilla films, and the juxtaposition must be seen to be believed — imagine H.R. 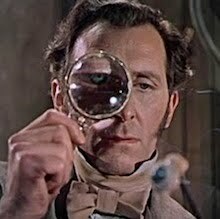 PUFF'N'STUFF as told by Sergio Leone and Sam Peckinpah... 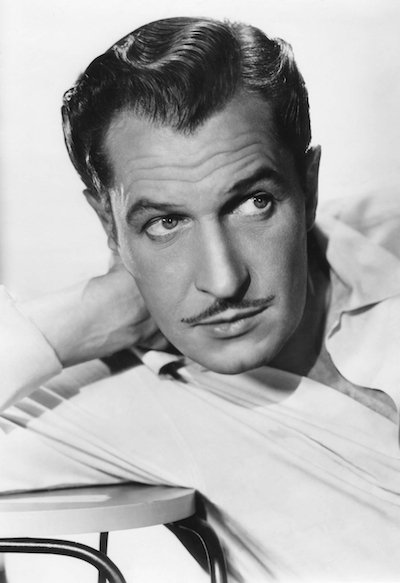 But, wilder! 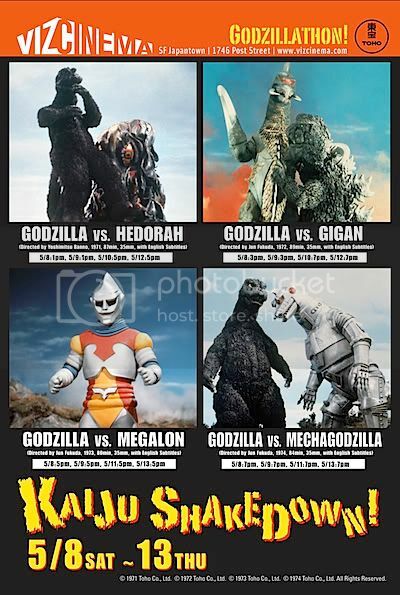 Screening are Yoshimitsu Banno's GODZILLA VS. HEDORAH (1971), Jun Fukuda's GODZILLA VS. GIGAN (1972), GODZILLA VS. MEGALON (1973), and GODZILLA VS. MECHAGODZILLA (1974) — all in their widescreen glory! 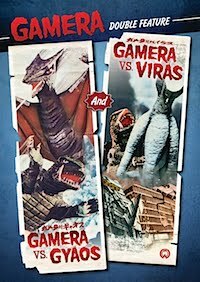 For GODZILLATHON, Toho Company has struck brand-new, 35mm prints for this event, in Japanese with English subtitles! 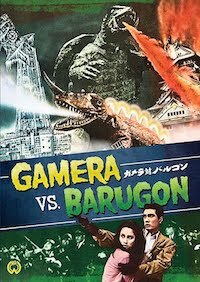 Previously, Stateside festivals and theaters could only rent Toho's "International" English-dubbed versions of the films — making this event even more special for Bay Area monster mavens! 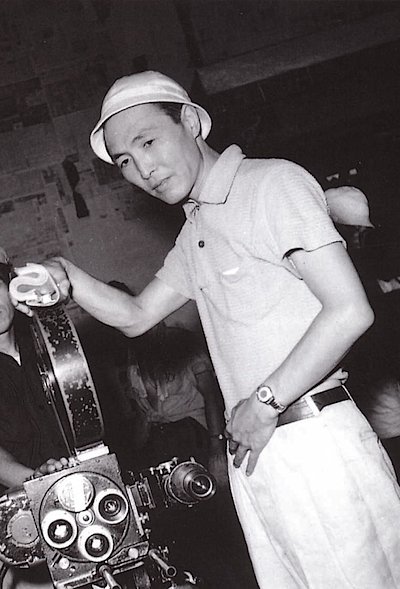 Don't miss out on the chance to see the color and fury of these films in stunning 35mm a VIZ Cinema, the nation’s first movie theatre devoted exclusively to Japanese film and anime. The 143-seat subterranean venue is located in the New People building, which boasts state-of-the-art projection and a premium THX®-certified sound system, and plush seating. Ticket prices: General Admission: $10.00; Senior & Child: $8.00.